Oh my gosh, I am so excited. I had egg on toast this morning. Not something I have been able to do for almost 3 months! Okay, so I am making it sound like we have a fully functional kitchen … when we don’t have … but at least we’re making progress! 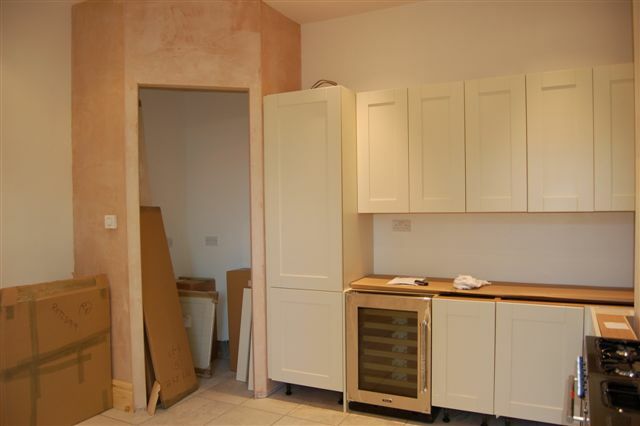 On Friday the kitchen was delivered, and this is what it looked like. All the units are made and assembled off-site. By just after lunch on Monday, this is the sight that greeted me. It put a very big smile on my face! 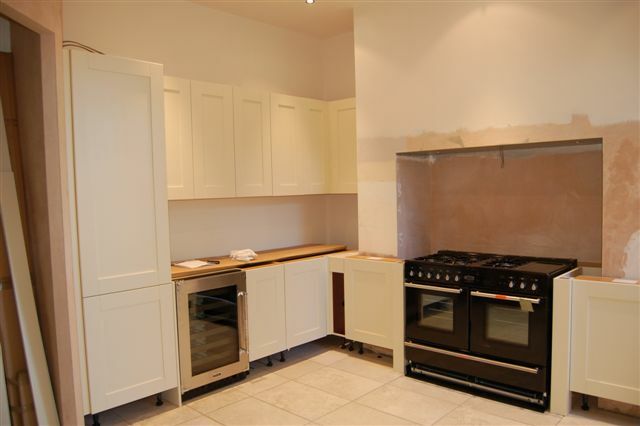 This chap, from the kitchen company, installed the kitchen units single-handedly! I was rather impressed. He will get an electrician in next week, the gas man came yesterday and the granite top chaps came in today to do the template for the tops. He left us last night (Tuesday) and will only return next week once the granite has been put in. He’ll spend another day or two on site, and then we should have a working kitchen with just a few snags to sort out later. 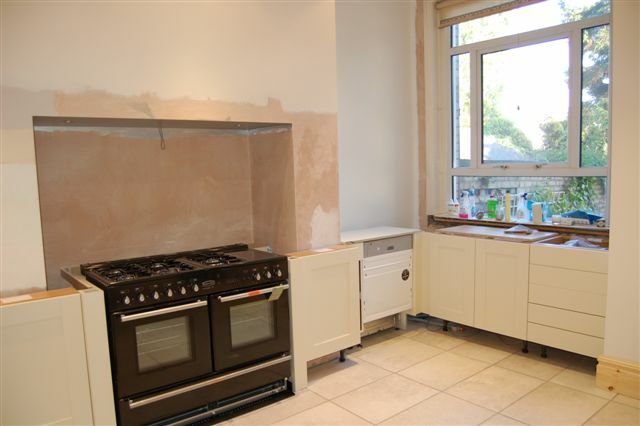 There is a facia to go around the cooker, and the splash backs behind the cooker will also be made from granite. It really does feel like things are slowly coming together and the end of the project is in sight.